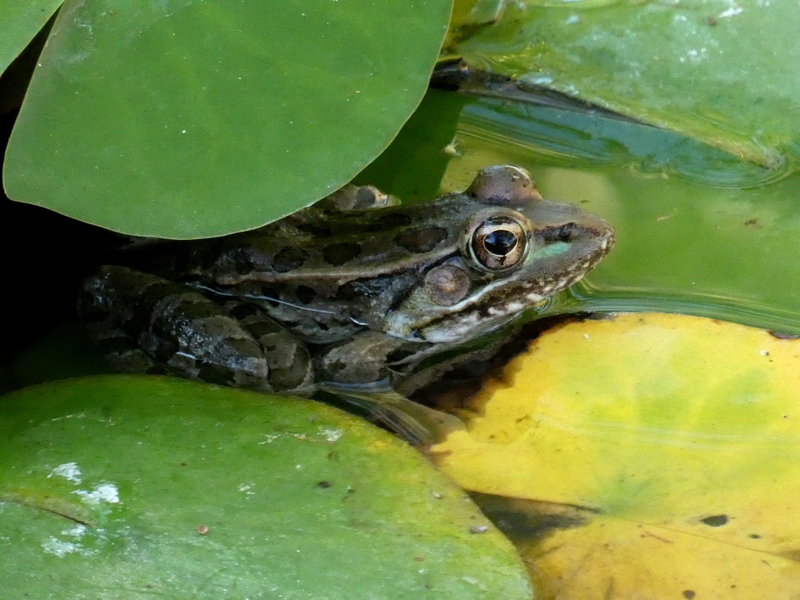 We have Southern Leopard frogs in the pond this summer. Shy little guys. I snapped a few photos of them, then played with them in Topaz Studio. 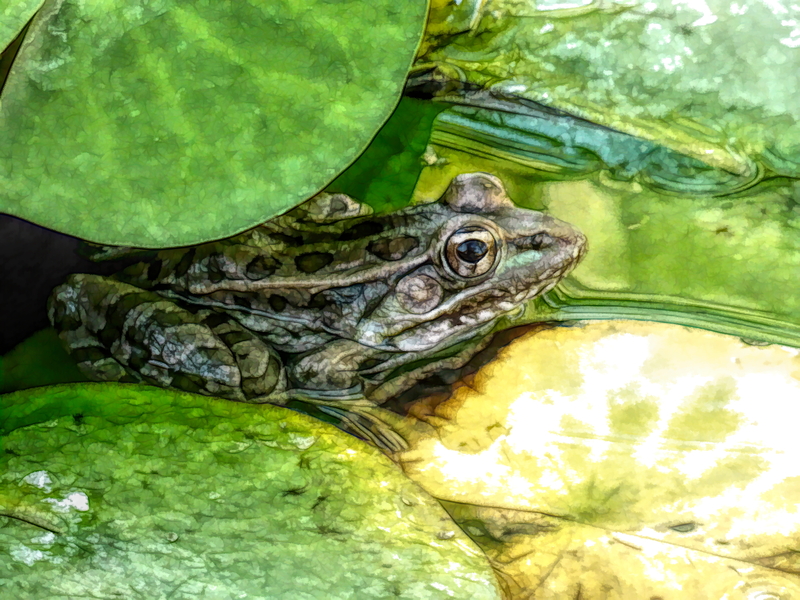 Here is our darling frog with an effect titled Fine Wine Cafe2.